Well, it was my birthday last week. Anyway, had a lovely birthday, as I always do. Got lots of cool gifts and celebrated with dinners and cakes. VC made me a truly amazing Black Forest Cake. Layers of rich chocolate cake, cherry syrup, cherries and cream all decorated with shavings of dark chocolate. The highest praise you can give a cook is when you voluntarily make yourself sick on their food. The day after my birthday, I felt like a little sweet snack, as you do at 3.30 in the afternoon. And, because I am watching what I eat since the Christmas insurgence of Lindt Balls, I thought I might have a little left over cake. So much for dieting huh? However, I didn’t cut a modest slice and take it to the couch. No. I took the plate of cake out of the fridge and placed it on the kitchen table and sat down with a cup of tea and a fork. I then continued to take mouthfuls directly from the slab of Black Forest bounty, taking my favourite bits of mainly cream and morsels of cake and cherry syrup. Luckily Adrian got home to save me from myself. I then put the cake away. Feeling a little ill.
And then had some more after dinner that night. OK, the reason for my post today is a gift I received from my in-laws today. 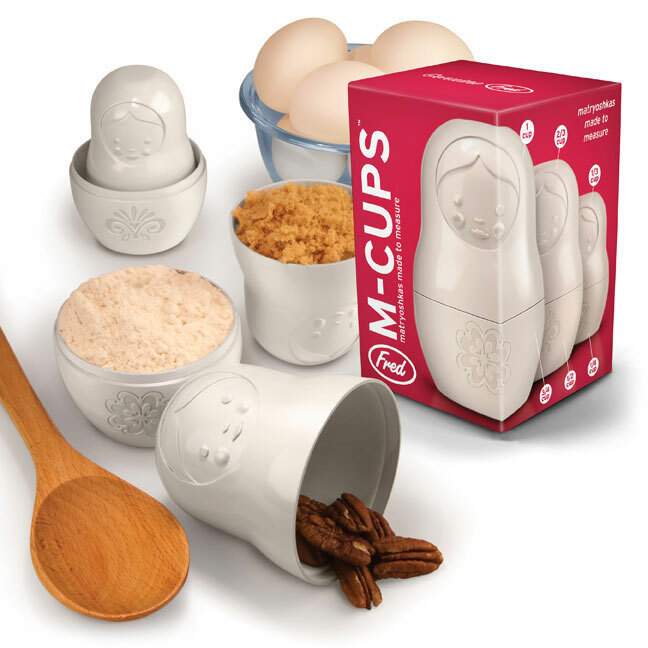 They are measuring cups in the shape of Babushka Dolls (or nesting dolls) called M-Cups from a company called Fred. They are the cutest thing I have seen in some time and what I like best is that they look really cool and I know I will use them. 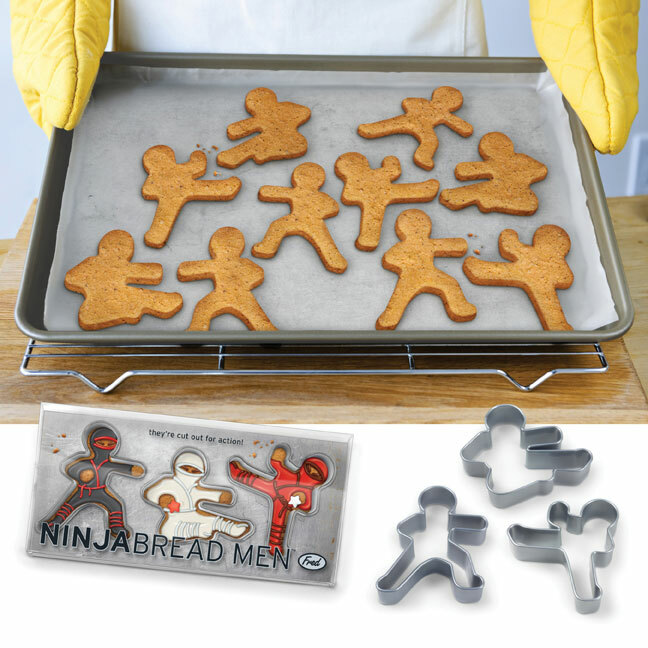 I can’t go without showing you another cool I found on their website…Ninjabread Men. I know. How cute is that? 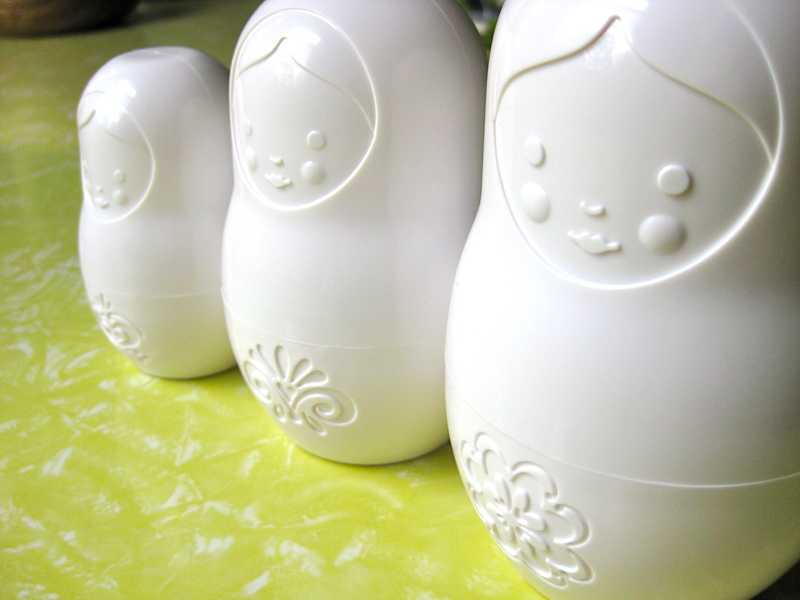 I have two little boys…it’s the sort of thing I go for.